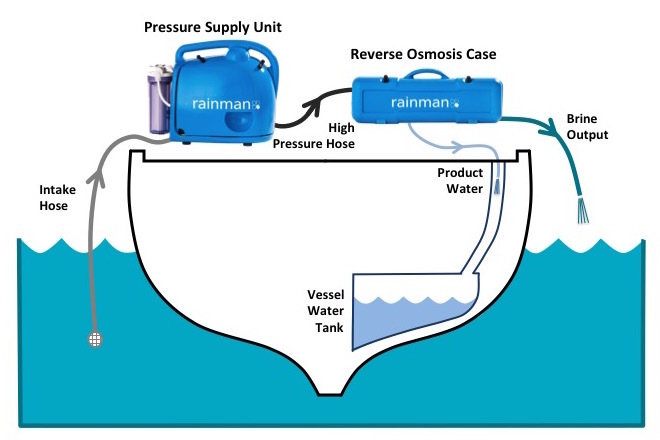 Although the Rainman watermaker was originally designed as a portable system not requiring installation, many of our customers choose to partially or fully install the system in their boat. The variations can range widely, including installation of both the pressure supply unit and reverse osmosis case to installing one or the other of the units. You don’t need to install the system. Ten minutes after receiving the system, you can be making fresh drinking water. If you are a cruiser and a racer, you can easily offload about 2/3 of a crew member in weight by putting the watermaker ashore. No extra holes in your hull. If you are space constrained, you can remove the system for more people and gear for short trips. If maintenance is required, you bring the system to a technician rather than a technician to your boat. When you upgrade your boat, you take the system with you. Installing a system in your boat will not add that much value to your boat. You can loan it to a friend. Reduced cost due to no expensive and invasive installation process. You can fill up your neighbour’s tanks with our product water extension hose. Moving the system around is easy if you have an RV, live near water, or have another boat. You don’t have to pull the system out on deck every time you use it. No hoses thrown over the side of your boat while system is in use. Less concern of hoses getting kicked out of place while in use. Easier to use while underway. Working alongside Twin Disc and Seakeeper we’ve expanded the range of services we provide to the Wes... Click here to read more. 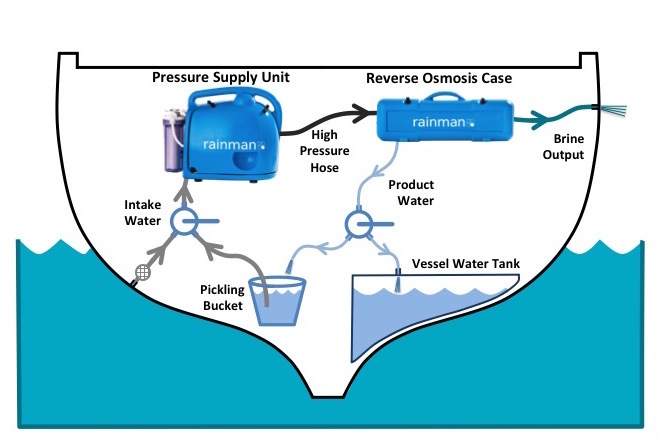 Rainman Watermakers are a compact and portable solution designed to generate a fresh water supply fr... Click here to read more.